The other day the guys from BaconToday.com contacted me in search for some barbecue bacon recipes. Of course I have plenty of great uses for bacon in a barbecue pit, but the longer I thought about it, the more I wanted to step it up a notch and clog a few arteries for those guys. 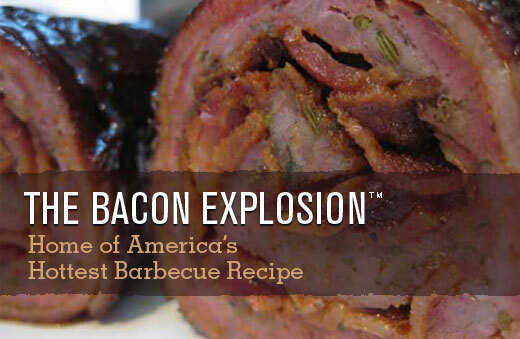 Behold, BACON EXPLOSION!! !